The incidence of thyroid cancer was associated with malpractice payouts in a recent study by Penn State Cancer Institute researchers. Because thyroid cancer is not usually fatal, the findings suggest that physicians sometimes offer unnecessary testing to avoid being sued. Over the past several decades, the incidence of thyroid cancer has increased dramatically in the United States, from 3.6 cases per 100,000 in 1973 to 15 cases per 100,000 in 2014. “It’s about quadrupled, and no one knows why,” said Dr. Joshua Warrick, assistant professor of pathology and surgery at Penn State College of Medicine. Unlike for breast, prostate and colon cancer, screening recommendations do not exist for thyroid cancer. Warrick therefore suspected that physicians were practicing “defensive medicine,” offering more tests than necessary to ward off malpractice lawsuits from patients whose cancer was missed. The practice of defensive medicine is known to occur in other areas of medicine, such as obstetrics and neurosurgery, Warrick says, citing work by researchers at the Massachusetts General Hospital, Mayo Clinic and Urban Institute Health Policy Center. Previous research at the University of Nebraska showed that in thyroid cancer, most malpractice lawsuits are related to delayed diagnoses. In these cases, patients sue their physicians for missing their cancer, citing negligence. Other research from Northwestern University, Massachusetts General Hospital and the Mayo Clinic shows that regions with higher malpractice lawsuits have higher rates of unnecessary testing. Malpractice lawsuits fall into a category of law called tort law, which is largely regulated by states. Warrick’s study examined state-level data on malpractice payouts from judgements and settlements and thyroid cancer incidence between 1999 and 2012. The study also looked at other cancer risk factors, including socioeconomic status. Wealthier people are more likely to be diagnosed with thyroid cancer in part because they have better access to healthcare and screening. The study found that states with higher rates of malpractice payouts also had higher rates of thyroid cancer. This association remained even when the researchers accounted for other thyroid cancer risk factors, such as socioeconomic status. The research appeared in the journal PLOS One. In contrast, breast, prostate, colon and lung cancer rates were not associated with malpractice payout rates in the study. For breast, prostate and colon cancer, this could be explained because screening recommendations shield physicians from being sued. “During the time period we studied, there was really no incentive to do more testing, because guidelines indicated which tests should be performed at what age,” Warrick said. Unlike thyroid cancer, lung cancer is aggressive and Warrick says overdiagnosis has not been identified as a major issue – explaining the lack of association between malpractice climate and lung cancer rates. Malpractice payout rates related to thyroid cancer could be a proxy for cultural differences across states. “It’s possible this is not cause and effect directly but rather a marker of culture,” Warrick said. 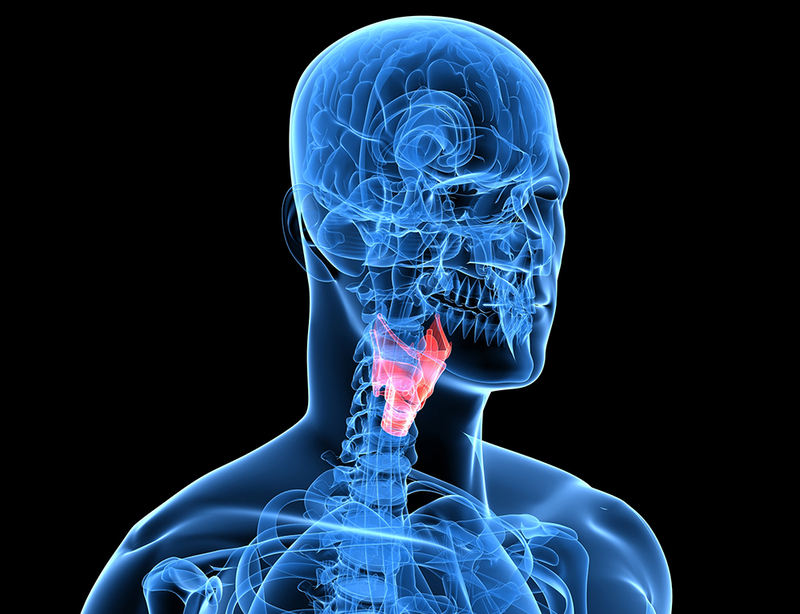 Thyroid cancer incidence is highest in Pennsylvania, New York and New Jersey. Southern states like Alabama and Georgia have lower rates of both thyroid cancer and malpractice payouts. People in the south may be less likely to sue their doctors or seek medical attention for non-emergency issues, Warrick said. Still, in states where malpractice suits may be driving defensive medicine, reforms may be needed to prevent patients from receiving unnecessary testing and treatment. For example, Warrick says health systems could move toward a model in which patients are compensated for medical errors without lengthy legal proceedings. Reforms could also include the introduction of courts dedicated to hearing medical malpractice cases, which could reduce unfair judgments against physicians, he says. Other researchers on this project were Brandon Labarge, Vonn Walter, Eugene J. Lengerich, Henry Crist, Dipti Karamchandani, Nicole Williams, David Goldenberg, and Darrin V. Bann, all at Penn State Cancer Institute and Penn State College of Medicine.